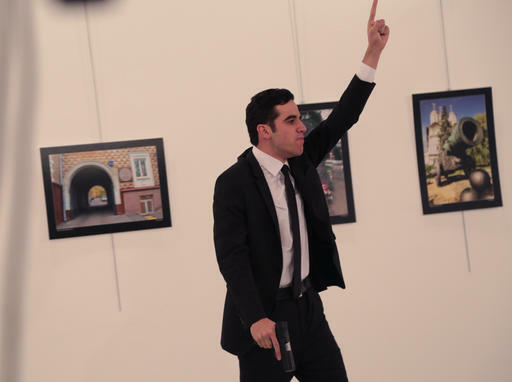 ANKARA, Turkey -- EDITOR'S NOTE: Associated Press photographer Burhan Ozbilici was attending a photo exhibition Monday when a Turkish policeman opened fire, killing Russia's ambassador to Turkey. 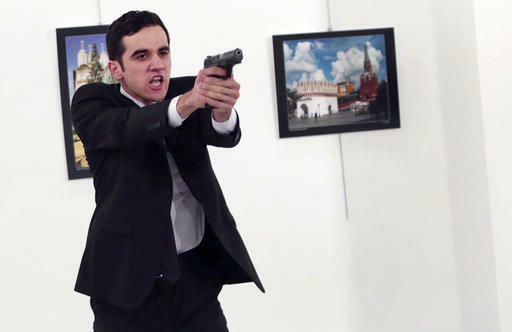 He recounts how he captured the chaotic scene with his camera despite the lethal danger. 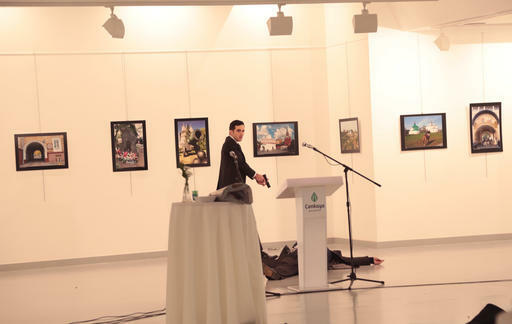 The Russian ambassador to Turkey was killed when a gunman opened fire at an Ankara art exhibit. 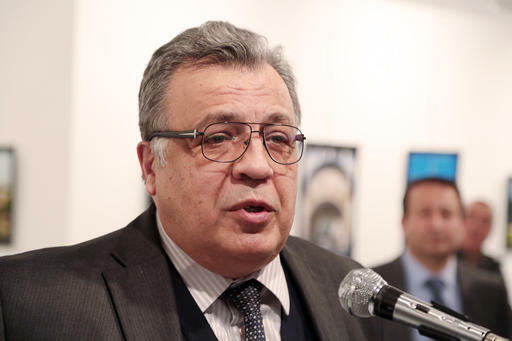 He was speaking softly and - from what I could tell - lovingly about his homeland, stopping occasionally to allow the translator to relay his words in Turkish. I remember thinking how calm and humble he seemed. 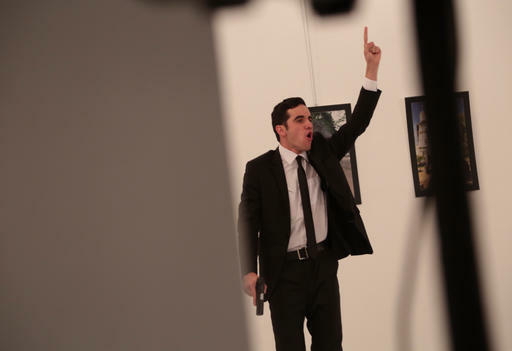 I moved back and to the left, while the gunman - later identified as police officer Mevlut Mert Altintas - gestured with his gun at people cowering on the right side of the room. As my mind raced, I saw that the man was agitated - and yet, he was, strangely, in control of himself. He shouted at everyone to stand back. Security guards ordered us to vacate the hall and we left. 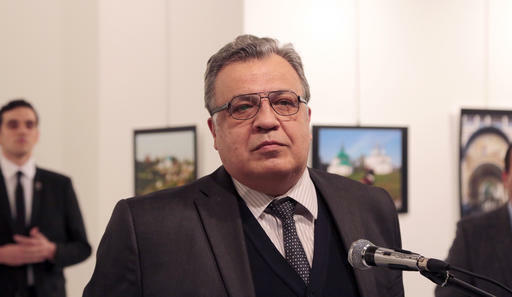 Andrei Karlov, the Russian Ambassador to Turkey, speaks at a photo exhibition in Ankara on Monday, Dec. 19, 2016, moments before a gunman opened fire on him.